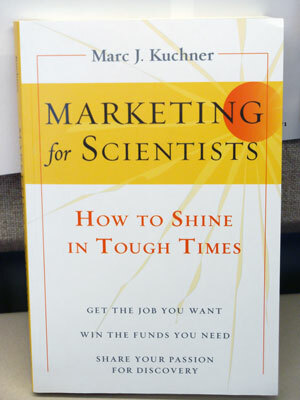 An important book: Marc Kuchner’s "Marketing for Scientists"
Well, I wish I had better news. The business of science is in as uncomfortable a position as it’s ever been these days. In an age when education should be at its greatest level ever, when more people than ever should realize that science is the way to understand and make the most of the world around us, scientists are struggling for funding, for livelihoods, for success. Somehow, more people need to awaken their minds to the fact that there are bigger things to do than debate endlessly who is the most obnoxious and dimwitted among the contestants on Survivor. Enter this difficult arena in a difficult economy one Marc Kuchner. Marc is an astronomer at NASA’s Goddard Space Flight Center, in Greenbelt, Maryland, who specializes in, among other activities, studying extrasolar planets. He is a good friend and contributor to Astronomy. He is also a country songwriter. That’s right — and it was on a trip to Nashville, Tennessee, talking to people in the music business, that he realized his musical ambitions weren’t being marketed the right way. And that astronomers, in today’s world, aren’t concerned with marketing themselves at all. That is, by Marc’s definition, presenting yourself and your needs, wishes, and desires so they fulfill the needs and desires of others. This realization led to Marc’s crusade to ask scientists and science writers to market themselves the right way in order to achieve more success. In his new book, Marketing for Scientists: How to Shine in Tough Times (236 pp., paper. Island Press, Washington, 2012, $19.95, ISBN 978–1–59726–994–0). It also led to his website, marketingforscientists.com. And it led to his Facebook group, which hosts lively chatter from scientists and science writers alike — see Marketing for Scientists under “groups” on FB, a club that as of today holds 908 members. It’s a closed group that requires an invitation to join, so contact the administrator if you’re interested. Whether you’re a scientist looking to make the most of your career, a science enthusiast concerned about the way society is trending, an amateur astronomer interested in the background of how astronomy works, or simply a curious person, I highly recommend Marketing for Scientists. It’s written in a lively, engaging style and covers much practical advice as well as savvy observations. Chapters cover such tips as how to get the job you want, securing funding, writing proposals, and attending conferences. Highly interesting observations are tucked away in the chapters on the general public and the government, how to market science itself, and the consumers of science. Whatever your relationship to science, this is a book that will make you see it a little differently and will open your eyes to how science works.